Piano: Max Harris, Bass: Sammy Stokes, Drums: Phil Seamen, Allan Ganley, Kenny Clare. What nostalgia! Most of the band titles were recorded with Jack's small band on 78 rpm between 1952 and 1954. 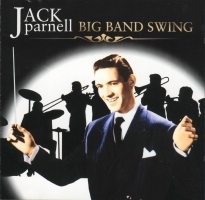 Those with Eve Boswell and Dennis Hale came later on when Jack had the big band. I came on the band in January 1953 and stayed until 1960. That was a long time for me to stay anywhere, but it was a great band to be injust look at all those players! There are some priceless tracks on this CDoutstanding among them are Kick Off and Skin Deep, where Jack and Phil Seamen play their stunning drum duets. These are not individual solosboth drummers play the same solo! The result is unbelieveable. One can imagine the impact this had on the audiences, not to mention the guys in the band. These two titles, plus Jimmy Watson's Catherine Wheel make this CD a must for everyone. It certainly brought back a whole bunch of memories for me, especially Sky Blue Shirt, one of the first charts I wrote for the band.